Happy New Year from Studio-kids! With the group classes over, here's what we were up to in December with one of my private students. A before and after drawing from a one hour private session. 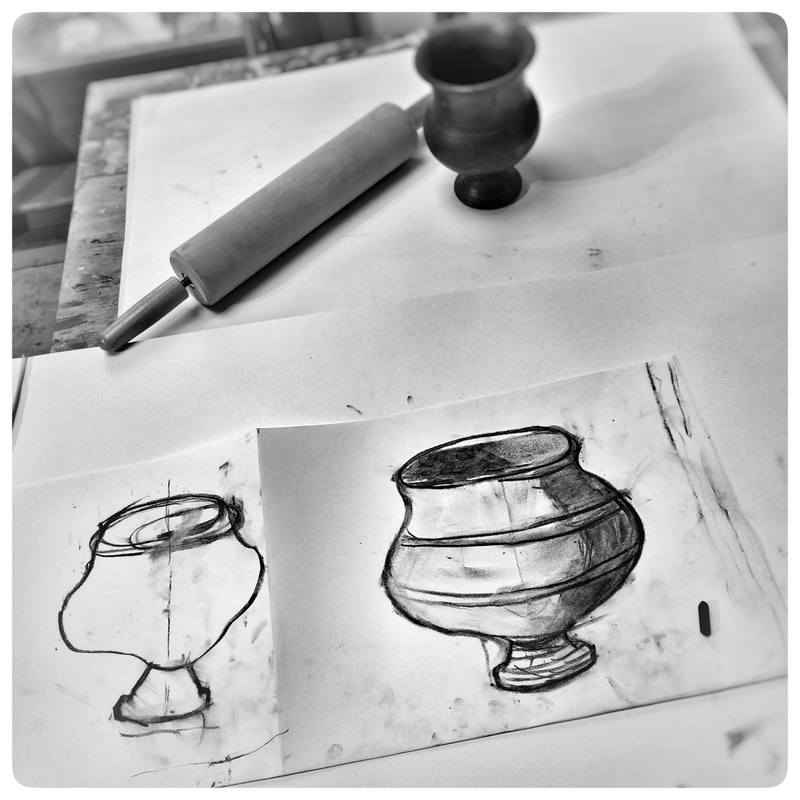 Todays lesson, round forms and shading. We never had time to draw the rolling pin, but we came a long way with the vase. 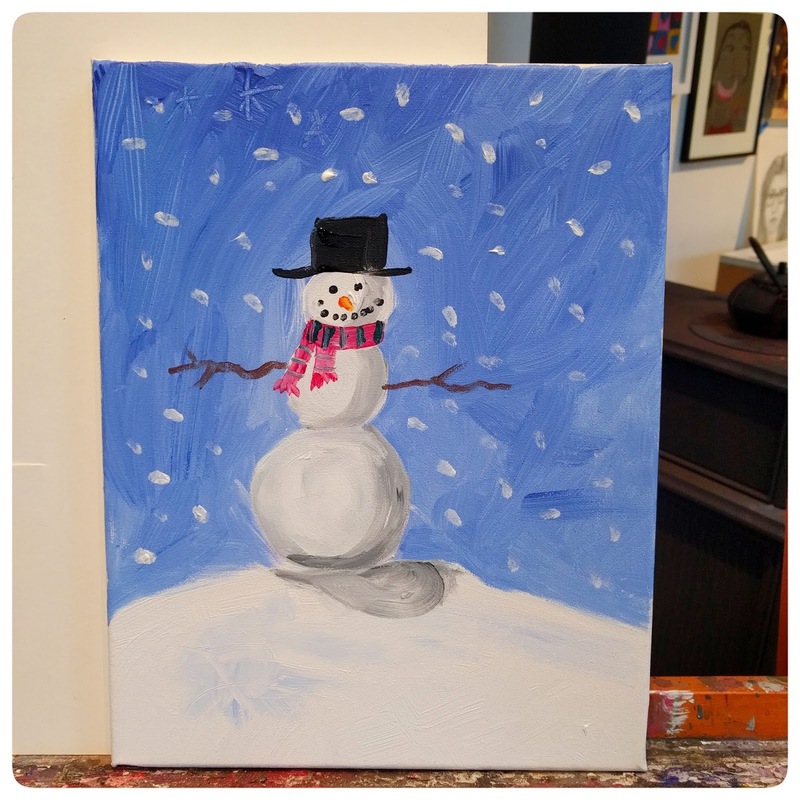 I had a snowman painting planned but at the last minute decided to spend the hour doing an abstract painting. 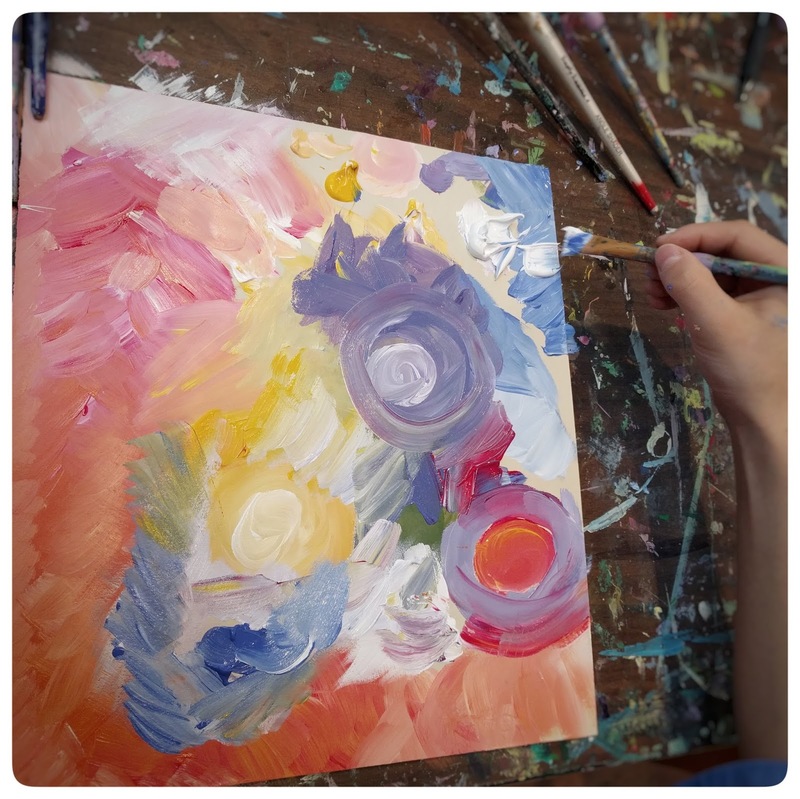 With a limited palette of primary colours and white, this lesson was about mixing colours, but not over mixing them and letting the brush strokes show. 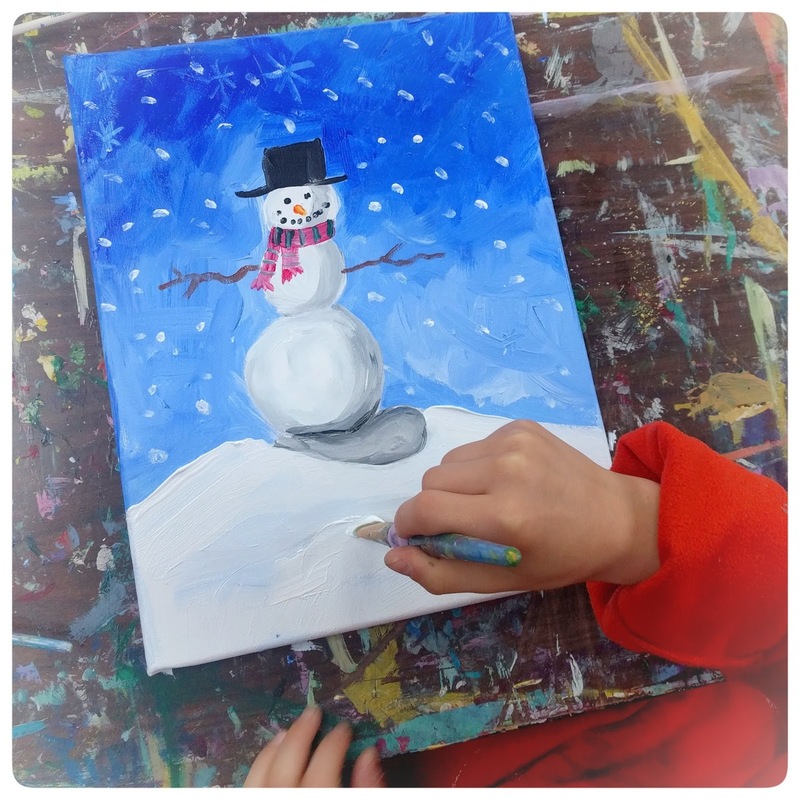 Now we were ready to paint a snowman! Continuing to work on round forms and shading, a snowman would be the perfect subject. A quick first coat of blue sky with some white mixed in focusing on interesting brush strokes. The snowman is blocked in and simple shadows added. I always like to 2 coats of paint to get the colours nice and rich. I love all the different tints of blue and the expressive brush strokes. We added some more depth to the snow and just a touch more shadow.